We sell sheet music in PDF file format at DLmarket. DLmarket is one of the most largest digital contents markets, which also provides a framework to sell music under copyright protection managed by JASRAC and JRC. 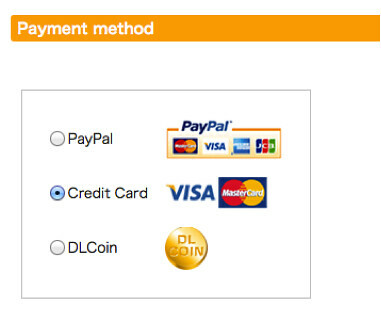 The checkout page supports multi-languages and accepts major credit cards or PayPal payment. No fee is required to use the market site, however, you need to create a free account in order to buy digital contents. 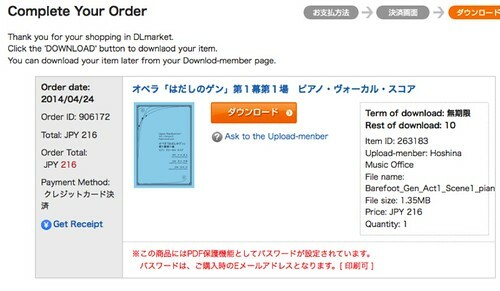 Here is the step-by-step instruction to buy our sheet music from DLmarket. 1) Find a music data from “Works” category and click the link to retail page or “DLmarket” button from our web site. If you see the following text, type 5555 for password. 3) Next you will see following window. 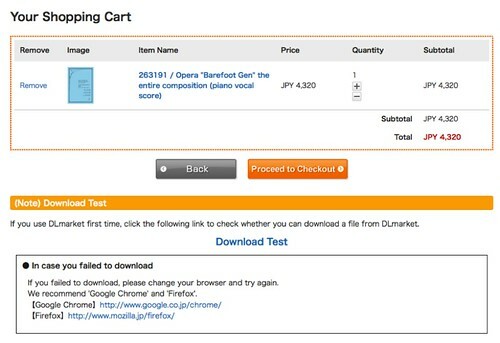 You may try “Download Test” before you proceed to checkout, then a test file will be downloaded. Check if you can open the test file. 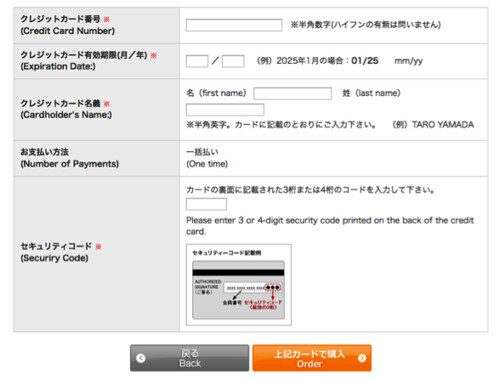 If you are ready to go, click “Proceed to Checkout”. 6) To download your file, crick “ダウンロード” button. You may download 10 times per order. To open the downloaded pdf file, use your email address as your password. If you have any trouble to open your file, please contact us via mail form.